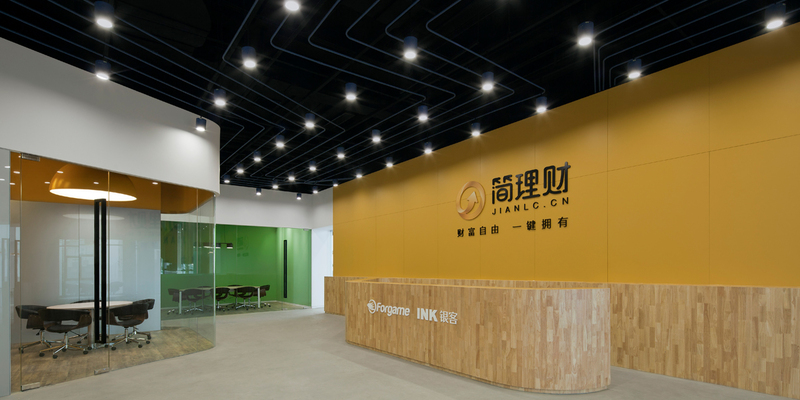 Recently acquired by Hong Kong’s Forgame Holdings, repeat client INK Group’s Jianlc is a fast-rising fintech company specializing in investment products and services. 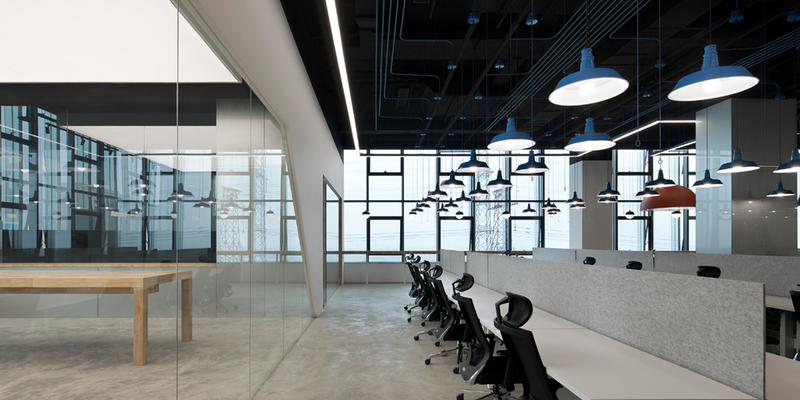 Providing safe, clear and steady financial support to a diverse range of customers, Jianlc has already built a solid reputation for itself as a trustworthy and innovative company. 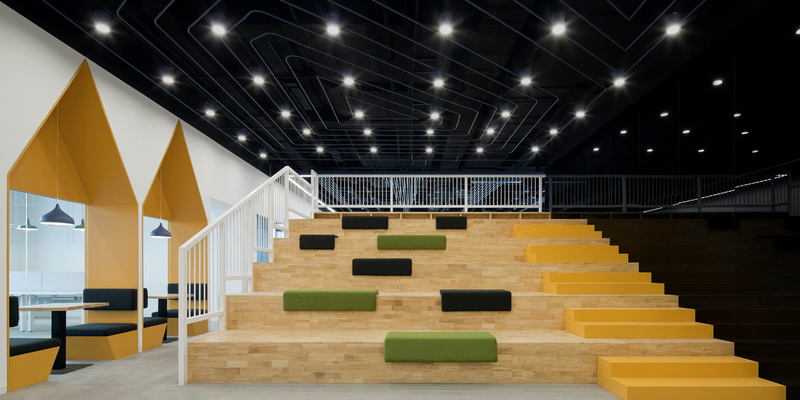 One of the main aims for the office’s design was to elicit the type of pleasure we receive from our surroundings in our childhood, by making use of the intensity of simple colors and tastefully deep contrasts. 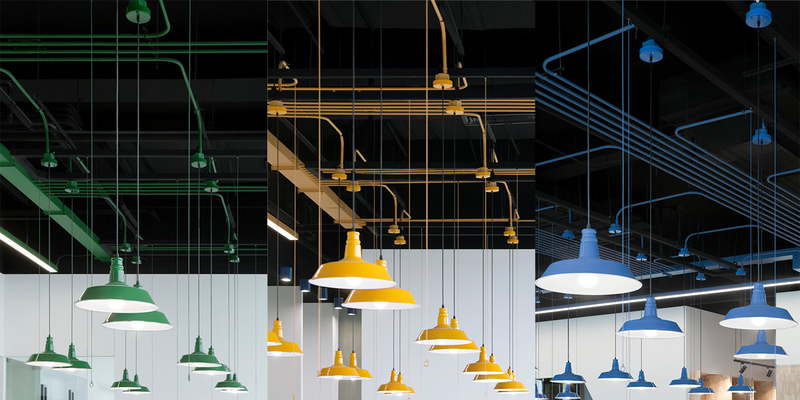 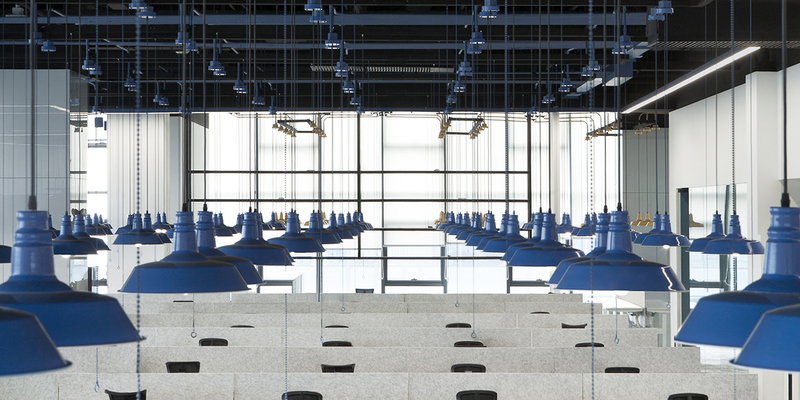 The individually-adjustable industrial lamps placed above each work place, grouped in four colors- cobalt blue, sunny yellow, forest green and striking red- are the signature fittings for the office. 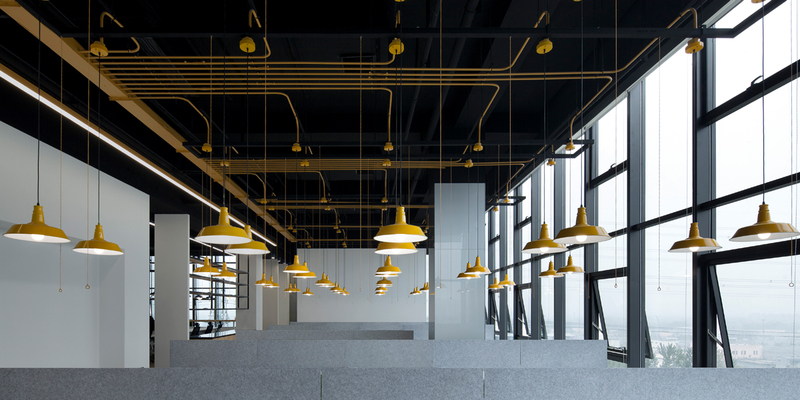 Whimsical yet practical, the lamps served as a potential source of cable and wiring clutter. 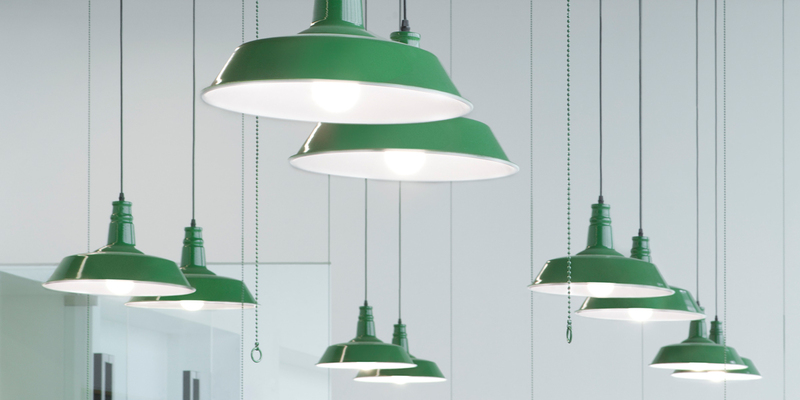 However, the team added them without creating visual noise, and sourced pull-switches created especially for the lamps. 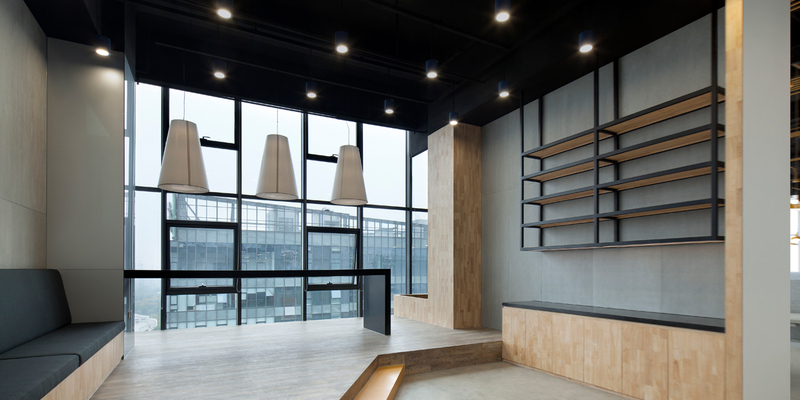 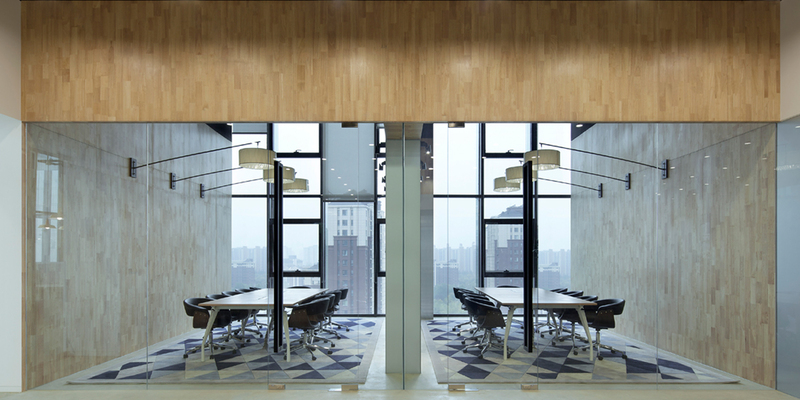 The main materials used included natural light wood, dark metal frames, concrete boards, and glass.